An elegant standard vehicle gives to you maximum comfort. Exterior in black metallic finish, air conditioning, sound system, etc. Suitable for transporting 4 people, but if you want to ensure your comfort the ideal number is up to 3 people. Our vehicle has everything what you expect from a business and travel vehicle. The first look will be interesting and it provide plenty of space for everyone. 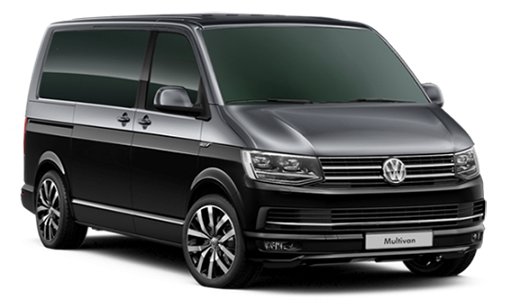 The metallic van is a guarantee of comfortable traveling for up to 8 people. Ideal for long distances.